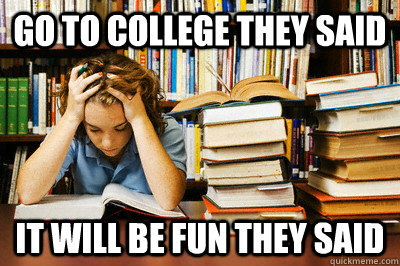 You know that inevitable part of college that you hate- the school part? Yeah, so do we, and we know that a good or bad class can make or break your quarter or semester. We all know the hard ones, the easy ones, the pointless ones- but what about the ridiculous classes you’re surprised is considered coursework? From Star Trek to Kanye West, there are classes all over the United States that will shock you. You probably didn’t know that they exist, but for your pure entertainment and enjoyment, we’ve found the ten most ridiculous classes you won’t believe actually exist. 1. “Philosophy And Star Trek” – Georgetown. Star Trek nerds everywhere are looking into transferring to Georgetown right now. One might consider Star Trek as being a philosophical piece of work. What’s stopping Georgetown then, to watch Star Trek, and read philosophy, and put the two together to get educated? The course introduces students to topics in metaphysics and epistemology philosophy but are primarily centered around the main philosophical questions that occur over and over in Star Trek. 2. “On Being Bored” – Brown University. Let’s start off by saying the yearly tuition for Brown University is over $65,000 a year. That might make this course a wee bit more ridiculous. The “On Being Bored” course examines books, articles, and movies that are based around not being productive and not wanting to do anything. The course goes back as far as the Enlightenment period to examine the lack of progress, denial of assertion and revelation. Forgive me for the pun, but this class sounds pretty boring to me. 3. “Tree Climbing” – Cornell University. I mean, I get rock climbing- but tree climbing? Seems a tad bit impractical in 2015, but apparently Cornell University doesn’t think so. This course prides itself on teaching students how to get into the canopies of trees, and how to climb from tree to tree without touching the ground. It also teaches you how to use ropes and other technical gear when climbing the trees. This sounds like a course for someone who needs a random 2 unit class to have enough credits to graduate. 4. “Kanye Versus Everybody” – Georgia State University. I mean, we all know that Kanye West is pretty full of himself and is a huge figure in pop culture, but having an entire class on him seems a bit overdone. This class focuses on his poetry and public proclamations that are centered around society, his own “aesthetic genius,” and the “creative black mind today.” The course argues that Kanye is one of the most significant and influential public thinker of our time. Like him or not, this class could prove to be entertaining. It would be a sell out it Kanye himself taught the class. 5. “Demystifying the Hipster” – Tufts University. Hipsters have become the butts of basically everyone’s jokes in the last five years or so, but what exactly is a hipster, really? This class digs into what exactly a hipster is, if they’re part of a counter culture or if they’re just another “marketing niche in the mainstream.” Music, books, fashion, and films are used to examine the hipster label. The goal of the course is to have students become “critics and sociologists” of hipster culture. 6. “Cooking with Cannabis” – Oaksterdam University. This would be the ultimate class for stoners everywhere. Learning how to cook with weed? Is that even legal? Regardless, this class teaches students how to cook cannabis into salad dressings, cheesecakes, beverages, and much more. The instructors of the course are long-time cannabis cooks and professional chefs. We just have one question, is it allowed or even encourages to eat your creations after? 7. “The Sociology of Miley Cyrus” – Skidmore College. Miley Cyrus has been the object of speculation, criticism, and pure observation for the last few years as she makes her journey from Disney star to twerking pro. Miley Cyrus is such an influential figure in pop culture; there’s a class about it. This class uses Miley Cyrus as their main example for analyzing intersectional identities and media representation. 8. “Juggling” – Reed College. We can’t help but be curious why knowing how to juggling would aid any college students in their education- unless they wanted to join the circus. The class starts you off with three balls, but by the end you’ll be able to juggle multiple different objects. I don’t think any parent would be happy to hear that their tuition money is going towards juggling. 9. “Learning From Youtube” – Pitzer College. This is a class that is literally all about watching content on Youtube. Sign us up! Students are encouraged to comment on Youtube videos and post their own content. Let’s be honest, most people are on Youtube while on their laptops in class anyways- why not make curriculum out of it? 10. “The Hunger Games: Class, Politics, and Marketing” – American University. Sure, The Hunger Games book series and movie series are interesting, but are they profound enough to teach college students about it? Obviously, American University in Washington DC thinks so and uses the series as a case study in this class. The course examines class, politics, and ethics in the series and how it intertwines together. I’m Savannah, and welcome to my blog! I created this blog because I always thought that they were so cool, and a great way to voice your opinions and share your creativity with the world. I’m pretty new to writing, so hopefully, you all like my writing! I’m still learning every day, and I really appreciate feedback that I get from my readers or people I work directly with. I have a lot of hobbies that I enjoy other than writing as well! I absolutely love drawing and typically like to draw cartoon characters. I’m pretty good at looking at something and being able to mirror the drawing pretty well. I’m trying to pick up painting as well because it’s really therapeutic, but I’m still trying to get the hang of it because it’s completely different than drawing. I originally learned to draw by just sketching in my notebook, but when I started to realize that I really enjoyed drawing, I started watching YouTube videos, and my drawing skills really excelled! I recommend that everyone go look at YouTube videos of how to do something you’ve always been interested in because there are so many people in the world that love to share their skills and talents as well!